(NYSE:ACN) 2017 Digital Consumer Survey. compared with 10 percent last year. 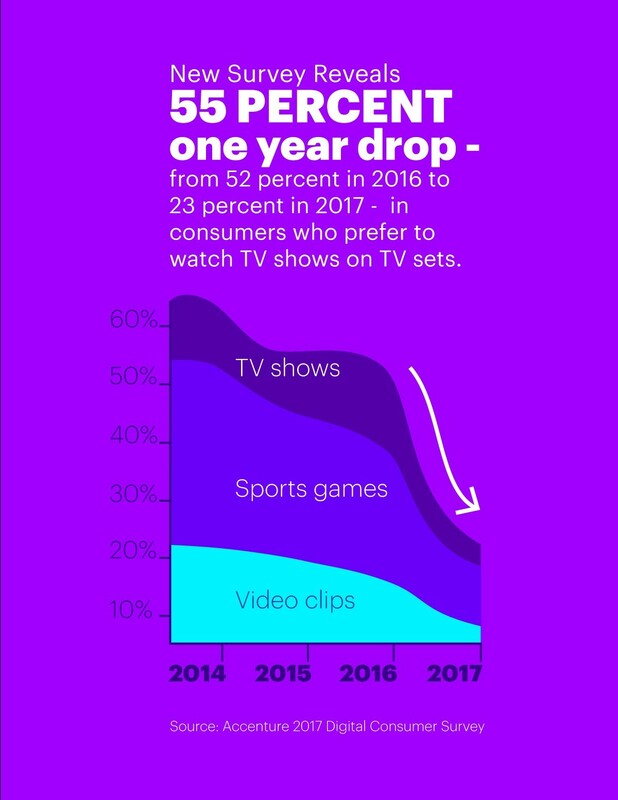 (65 percent) of consumers preferred the TV set for viewing TV shows. down from 38 percent in the prior-year survey. sets. That percentage dropped 78 percent, from 47 percent to 10 percent. future of their connected lifestyles. world works and lives. Visit us at www.accenture.com.